CINCH Modern Fit shirts offer a more tailored body than the CINCH Classic Fit, but retain the trademark extra-long sleeves and shirttail as the Classic Fit, still providing full range of motion for the wearer. 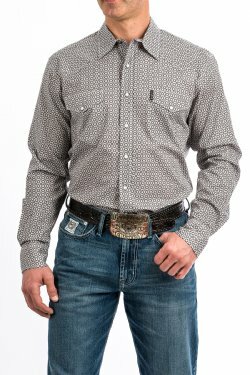 CINCH Modern Fit shirts are at the forefront of men's western wear with countless options of prints, paisleys, plaids and bold solids. CINCH Modern Fit button-down shirts offer a convenient, hidden button-down collar and logo embroidery. 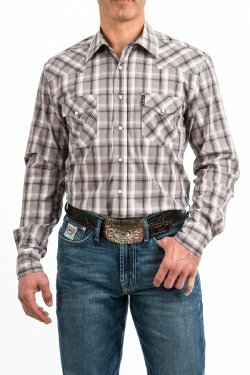 CINCH Modern Fit western snap shirts include unique design details on the pockets and yokes and are typically adorned with marble or pearl snaps.